A religious group described by experts as a “destructive cult” has been trying to recruit KU students. At least three members of World Mission Society Church of God (WMSCOG) – which was founded in 1964 by Ahn Sahng-Hong, a man whose followers believe is the second coming of Jesus – have been seen approaching students at Penrhyn Road. Among allegations the church has faced are that it encourages women to have abortions because they believe the end of the world is close and that they psychologically control members. Cult expert Rick Ross said: “In my opinion the World Mission Society Church of God is a destructive cult. I have received complaints from families, former members and others concerned about the group and its influence. Members of the church who had travelled over from South Korea have been seen approaching students on numerous occasions in corridors and the entrances at the Penrhyn Road campus. The recruiters target students who are walking alone and will be persistent but not aggressive in their approaches. They have said that they are students who have an assignment, but a River investigation has confirmed that they are not Kingston students. A man who heads the recruitment efforts in Kingston has also been seen on campus, and all members have been pressuring students to attend Bible studies. The London branch of the church is based in Epsom, but according to the church’s website it has “8,000 locations and 2.7 million registered members in 175 countries”. Ian Hawo rth is the Founder of the Cult Information Centre, a charity that helps educate the public about the dangers of cults. “The World Mission Society Church of God has certainly come to the attention of the Cult Information Centre. The easiest people to recruit into cults, not thinking of any specific group, are people with average to above average intelligence that are usually well-educated. If that doesn’t sum up the average student, I don’t know what does. And yet, students would imagine that they are the least likely to ever be recruited into a cult because people wrongly assume that there has to be something wrong with you in the first place. The thing that is wrong is the methodology of cults. What they do to people works, and it works very effectively. However Hildenbrand was later approached again in Kingston town centre by another member of the church, who seemed to already know who she was. She said: “I was approached again outside Pizza Hut in Kingston by a woman who asked for my time. She asked me to continue ‘her work’ to which I refused. “The next day I received a call from her after they got my number from the Korean girls, which I blocked. Then she messaged me and I blocked her again. 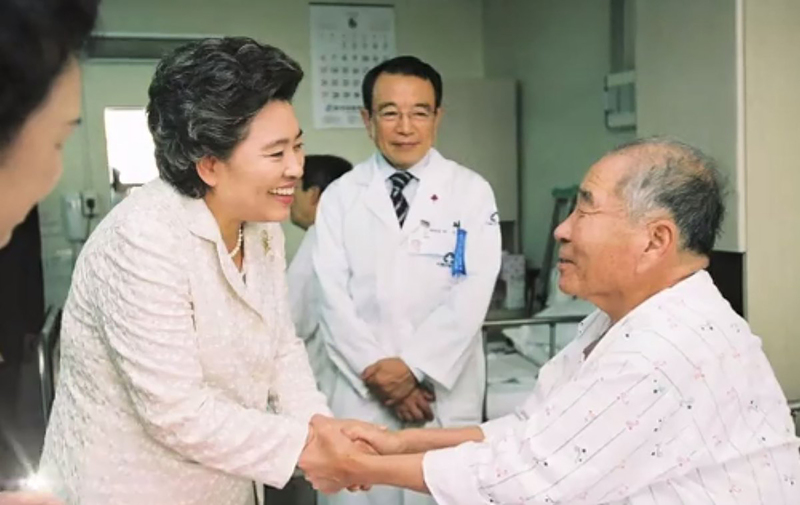 The church believes in “Mother God” or “Christ’s Bride”, a living woman in South Korea, whom they believe is also prophesied in the Bible. The WMSCOG denies being a cult and all allegations of using psychological control tactics on members. The organisation incorporated as a business in the UK in 2010 and alongside the London branch, it has churches in Manchester and Newcastle. UKZion, a subdivision of the WMSCOG in Manchester, received the Queen’s Award for Voluntary Service in 2016 for its environmental clean-up efforts in the local area. Almost all UK media coverage of the church has focused on its voluntary work. 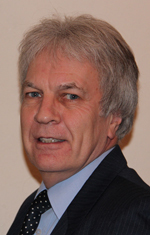 When challenged about recruiting at Kingston University, Michael King, director of the church’s UK operations, said: “We come to university campuses because Jesus told us to. “His last words recorded at the end of Mathew’s gospel are that we are all supposed to follow Jesus. In America, the church has been banned from university campuses for trespassing. In 2013, Michele Colon, a nurse who had been involved with the church for two years, filed a lawsuit against the WMSCOG in New Jersey, and described the group as a “profit-making cult” which used “psychological control tactics”. She sought damages for fraud, intentional infliction of emotional distress and invasion of privacy. In an interview with People magazine, Colon said that the church controlled many aspects of her life and even pushed women to have abortions because of its belief in an impending apocalypse. 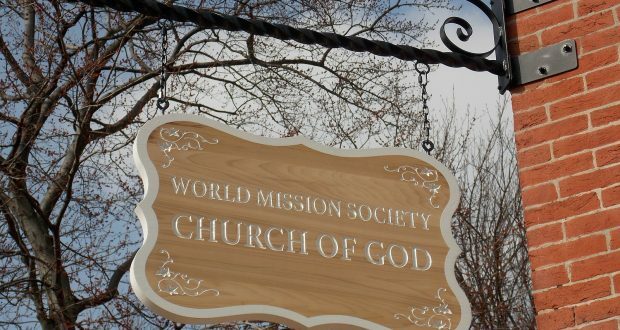 However, the WMSCOG denied all allegations and the courts ruled that they were not allowed to deem the church a “cult”, citing insufficient proof and religious freedom. 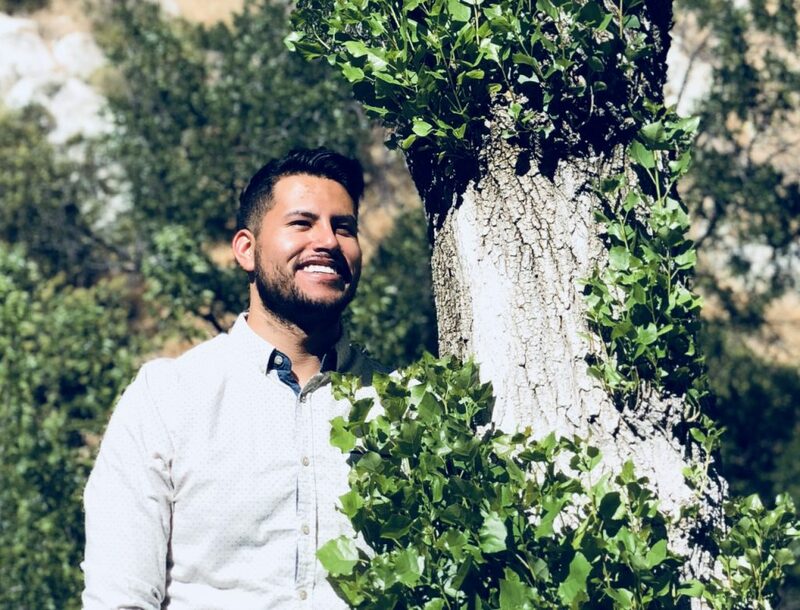 Josh Vizcarra is a former member of the WMSCOG in California, and was part of the church for five years before getting out. He makes videos on his Youtube channel about his experiences. “I first learned about the World Mission Society Church of God through a classmate of mine in high school. I was not a troubled kid at all. I had a loving home, family and friends. My classmate was talking to another individual about what he believed, and I just happened to be in the same room at the right time. He turned to me and asked me if I would like to learn about the Bible. I was not seeking God, nor was I by any means religious, but I have always been open-minded and decided “why not?”. What blew me away was how he showed me his reasoning in the Bible. All the churches I had attended growing up would just have the Pastor at the altar talking without really using the Bible. So when he showed me evidence in the Bible I was blown away. That Saturday I decided to attend. I was immediately greeted by members with a smile and I was in complete awe study after study. I remember leaving that day and I was amazed at how nice everyone was and how they had the “truth”. I decided to go back and study a little more. We then had a bible study they like to call the Seal of God, a study that really instills fear. It is about the four angels in the book of revelations holding back the four winds until God’s chosen people have received the Seal of God. They went on to explain that those who don’t have the Seal of God, no matter how holy a life they live, will go to hell. Through this study they showed me how World War Two was prophesied, and how the winds that the four angels are holding back is actually World War Three. This scared the hell out of me, and I decided that I needed to get the Seal so I could be saved. The only way to get this “seal” is by being baptised and partaking in the Passover. I was only 16, so I needed a parent’s consent. I begged my mother non-stop until she finally cracked. I remember when she agreed because I immediately ran to the church at 8pm to get baptised. It was the best day of my life, or so it felt. After the baptism, I continued to go back day after day. I started to learn of Christ Ahn Sahng-hong and how he was second coming Christ. Every time I went I would learn something new. I slowly started to learn about Heavenly Mother and how Christ Ahn Sahng-hong was the only one who could reveal her – she was the last secret. Finally I learned how she was alive living in South Korea. Learning all this made me feel like I was finally home. Who wouldn’t want to be a part of the same church that “God” was attending? As more time passed by I became more devoted I practically lived there. I started to neglect my job, my friends and my family. I was so convinced in what they had showed me that I would rather spend my time at the church than at any other place. I was so caught up in the “truth” that I missed my Grandma’s funeral. Years passed and I continued the same routine until one day I found some devastating news that brought my world crumbling down: I had found out that the man we were worshiping to be Second Coming Christ had written a book, in which he said anyone claiming to be Heavenly Mother was delusional and crazy. I had also found that Ahn Sahng-hong had been married, had kids and divorced. The same is true for “Heavenly Mother” – married, kids and a divorce. Finding this ripped my heart out and I immediately felt lost again. Once I was sure, I reached out to a “brother” to share the information. The second I did, he went straight to the pastor. Within the hour the pastor was calling me, but I was too terrified to answer. The whole congregation was told not to speak to me. The “brothers” I had were not there anymore. I was alone, and I went through a huge depression. I could not eat, sleep or socialise. I was terrified to leave my house, started to drop weight fast and would spend my days and nights in my room feeling nauseous. After a few months, I was diagnosed with severe anxiety and depression. I took medication and started to see a therapist. It has been six years since I left and I still suffer from PTSD, anxiety and panic attacks. I have learned to deal with my condition and live a happier life than I did in my five years in the church. I have been able to travel the world, something I would have never been able to do if I had stayed. I know this is a lot to take in, butjust know this: if you decide to join this church be prepared to deal with the aftermath and the devotion it will make you take. Is the whole thing a lie? Yes. Will everyone see it? No. But, sometimes stories like mine help people see the truth. When asked about the group being a cult, King deemed the idea “fake news”. A student, who wishes to remain anonymous, attended a bible study in a cafe in Kingston with two of the church members. Despite claiming that Bible studies with students last for around 20 minutes between classes, the session took almost two hours. The student was told in the Bible study: “We’ve committed sin in Heaven and by committing sin we could no longer live in Heaven, so we were cast out into this world. Another student was told that services at the Epsom church were only open to those who had attended multiple Bible studies and proved their commitment. King said of the invitation-only services: “Well I can’t comment on that. I’m not quite sure why but I can well imagine that they didn’t want somebody who has the wrong intentions to come in. A Kingston University spokesperson said: “The University has had no reports of any members of the World Mission Society Church of God being on any of its campuses.